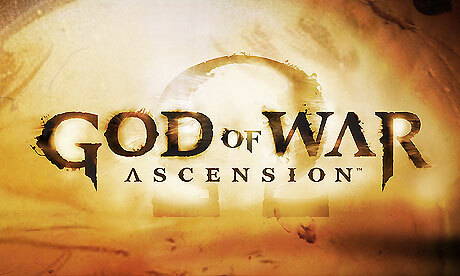 Developed by SCE Santa Monica Studio, the long awaited God of War – Ascension has finally surfaced on March 12, 2013 in PlayStation 3. 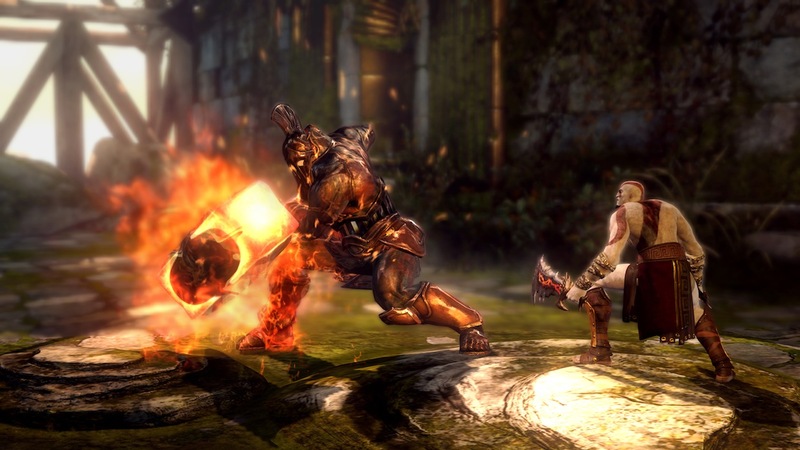 This third person action-adventure video game is the 7th of the God of War series. God of War series always stood out among their peers such as “Devil May Cry” or “Bayonetta” due to its combination of Japanese gaming sensibility of stringing combo attacks to make their rapid-fire moves more colorful and artful. The background of the story is ancient war that involves all super-powered Gods that based on Greek mythology. 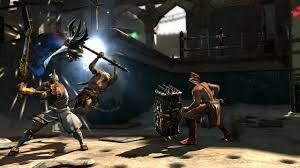 Players get to control the protagonist Kratos, who is the former servant of God of War. 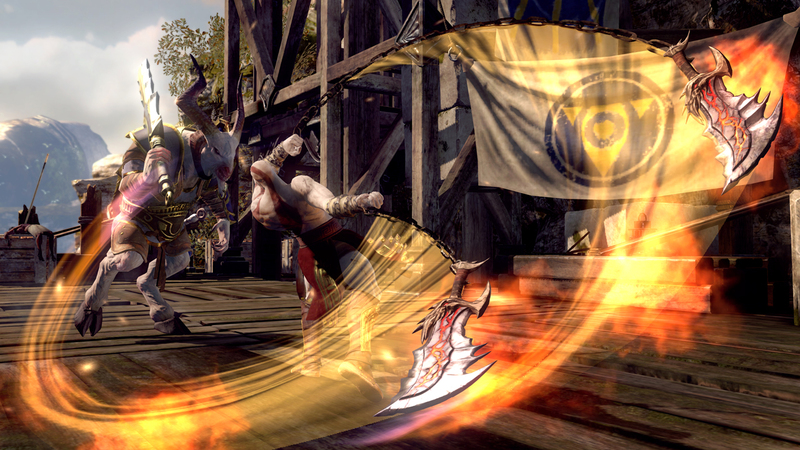 The gameplay itself is similar to its predecessors, which required fast and responsive controlling of the gamepad as it focuses a lot on combo-based combat. The gameplay is also viewed from a fixed camera perspective with some scenes that shows first-person view. Other than combating, players are also requires to perform platforming and puzzle game elements as the game proceeds. Platforming includes sliding down walls, jumping across chasms, climbing up walls and swing on chains in order to proceeds through certain section of games. Some of the platforming may happened to be more difficult as it requires more precision of timing during jumping and also precision of direction controls. Therefore players have to be a little more patience when it comes to this few areas. The puzzles includes moving boxes to act as jumping off points, solving mazes and many more which is brain cracking. It is definitely a much more interesting gameplay rather than combating over and over again. As the game progresses, players are also able to unlock increasingly elaborated and acrobatic moves, but the combat never sacrifices this viscerally gritty charm. One of the most special thing about God of War Ascension is it offers online multiplayer that feature up to eight players with story element. Featuring 4 multiplayer modes which are Team Favor of the Gods, Match of Champions, and Trial of the Gods and Capture the flag. In the mode of Team Favor of Gods, 2 teams with maximum 4 players a team are separated in to Spartans and Trojans. Each team accumulate a target of amount of points, which is knows as Favor, needs to earn by kills and other methods to help their team to win. Other than offensive playing, players may also help their team by capturing altars, collecting orbs, setting traps and many more. The Match of Champions are so called individual events which is a death match version of collecting Favor(individual points). 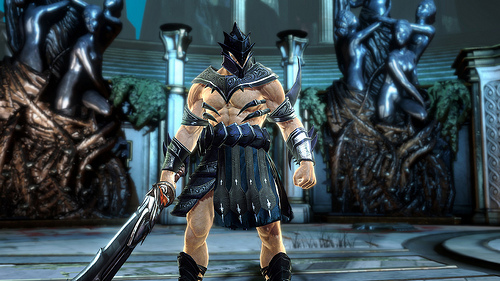 Trial of the Gods is a ‘teamwork’ game as 2 players cooperate to hit time trial. Players will face five increasingly hard waves of mythological monsters and followed by the boss. This game is definitely a must-try to the God of War fans. To those who are new to God of War, you wouldn’t regret trying out this game as its storyline is interesting and the gameplay is breathtaking. The multiplayer is also a new improvement made to make the game more addictive and challenging.